For those brides and couples who have no extra time to give, this post is for you. Planning a wedding can almost be like another full time job, and who has time for that? We are sharing some great ways to make the planning process fun but not overwhelming! This is an extremely exciting process, but certain aspects can be too much at times - there are tons of people who will want to step in and take things off your hands. Do you have 50 Welcome Bags to stuff, stickers to place, ribbons to tie, a seating chart to tackle? Ask a friend for help, pour a glass of wine and have fun with it! Most definitely, ask your planner - we are here to help and guide you in all aspects! All of your vendors are in place to assist you as well! Everyone wants their couples to be care-free and enjoy the process. They will likely go above and beyond for you - no matter the question or situation. With an upcoming wedding - you are likely to have a million and one other things going on as well. You might have family obligations, weddings to attend as a guest or attendant or otherwise. 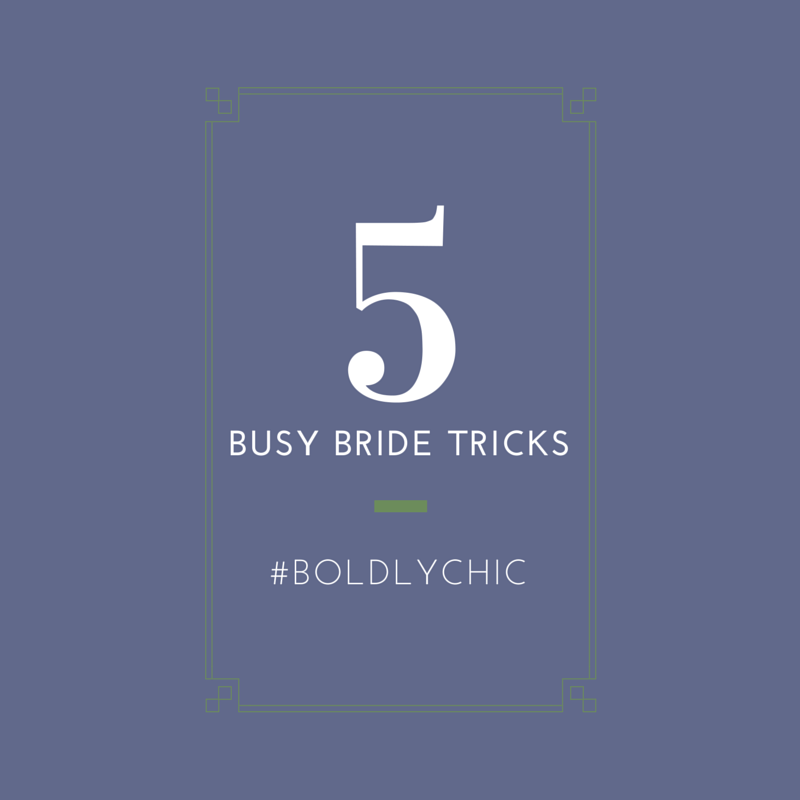 So, each week, set one day aside to sit down and tackle your wedding "to-dos. Stick to this schedule! Trust me, you will feel so much better if you do and you will feel better knowing there is dedicated time to work on the wedding. Don't sit on decisions until the last minute. You will lose out on good deals, good vendors and other great things. Checking an item off your list will feel so rewarding, rather than pushing it off for weeks. You just never know, it may be too late - vendors get booked, prices can adjust, etc. Trust your gut, and go with it! There are so many tools on the Internet, however, you have to check out Plan The Day. You can store all of your contracts, conversations, guest lists, timelines, and so much more on this awesome website (Smartphone friendly too)! Set reminders for yourself, add meetings to your calendars and archive your emails. As planners, we would be lost without all of our handy technology tricks. Use these easy resources and stay organized! Again, you will feel lighter and breezier with things at your fingertips. For one, use Pinterest as an inspiration tool - not "my bouquet must look EXACTLY like this." We love Pinterest, however it can be very unrealistic. You may find photos you love, however, we may know those blooms aren't in season to have at your wedding, that photo will not work at your venue, those chairs have to be shipped from across the country, etc etc. It is wonderful to have an idea and vision, but have an open mind! Plus, who wants something everyone has seen before - make your day all about you and your loves! These subtle tips can make a Busy Bride feel a little bit better as she navigates through the process. Keep things in order, be efficient and always have a little wiggle space with the details. See, you CAN have it all!